This story is set in Port Harcourt, Nigeria. Detective Tamunoemi Peterside investigates a bombing at the residence of Pius Okpara, who is contesting for governor in the state primaries. No one was killed in the bombing but there is an attempt on the life of the only witness, a judge's wife, that same night. Another attempt is successful and so starts a murder investigation. Tammy suspects Okpara’s aide who he assumes is in cahoots with their political opponent, Dr. Puene, but the state chief of police orders him to drop the case because he’s wrong. Along the line, the reason to lay off Puene is that he is part of a bigger investigation into the mafia and drugs in the city. Tammy doesn’t drop the case, and the body count quickly rises after the first witness as Puene’s associates, and even Tammy's partner are killed. That said, as short as Treachery in the Yard is - at about 150 pages, it keeps you guessing to the end. It also opened my eyes a bit to what police cases and work may be like in Nigeria. The truth is that the NPF is so far from the rest of the Nigerian society and maybe it is time such stories are told to bring them closer. 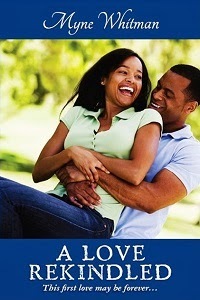 I certainly look forward to more from Adimchinma Ibe since this is supposed to be the first in a series.